Use a vegetable or rice steamer. Place chopped asparagus in steamer basket and steam for 3-5 minutes. Don’t overcook as you want the asparagus crispy not soggy. Prepare a cold water bath in a separate bowl with water and ice. Immediately after removing asparagus from steamer, place in ice bath. In a small bowl, combine olive oil, lemon juice, lime juice, red wine vinegar, garlic powder, stevia, and salt and pepper. Wisk together and set to the side. Drain asparagus and remove excess water. In a medium bowl, combine asparagus, tomatoes, cucumbers, red onion, and parsley. Toss together. Add salad dressing contents to the vegetables and toss. 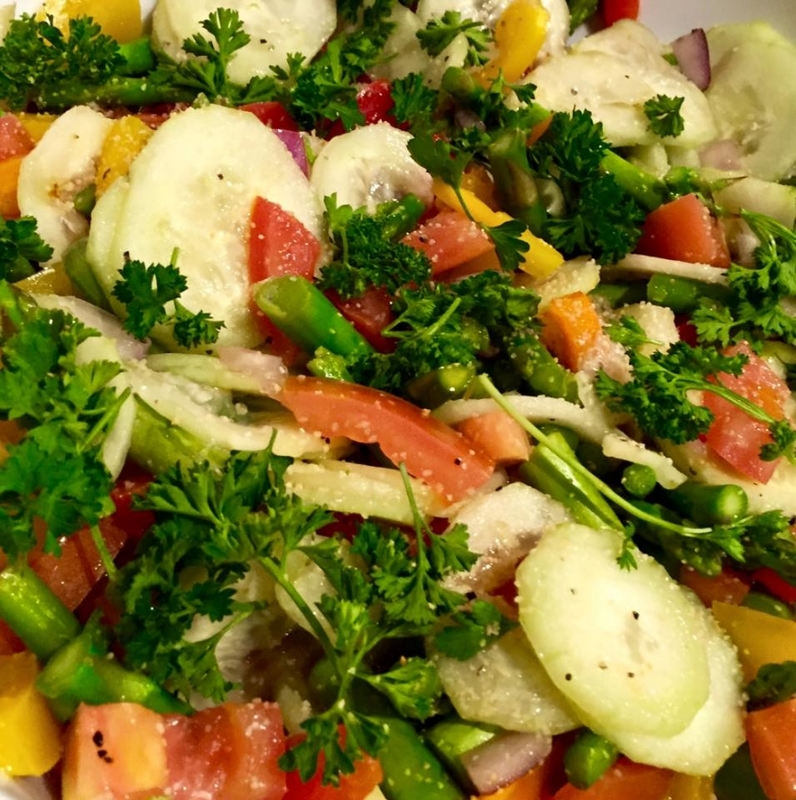 This salad can be chilled and served later, or served immediately.